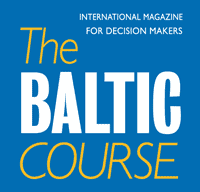 The article was prepared for the roundtable-seminar “Modern mass-media market's trends” held in the Baltic International Academy on 14 May 2014. 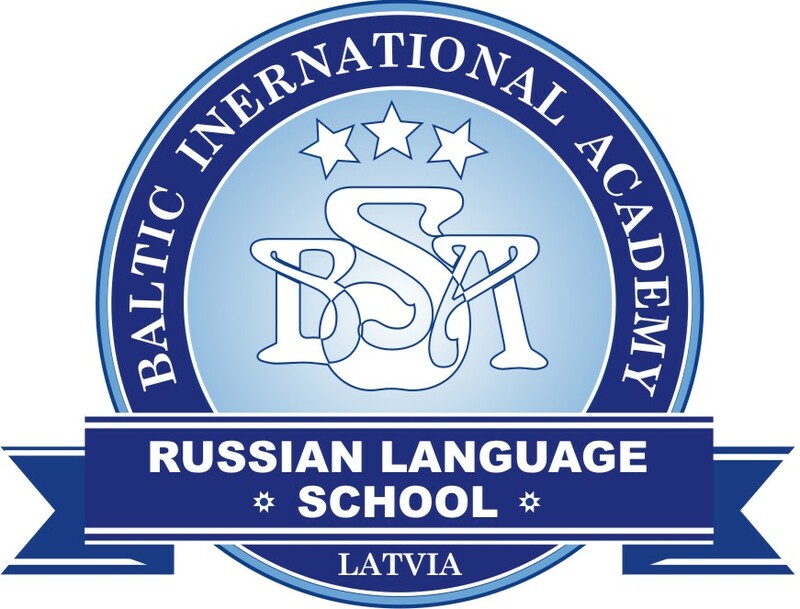 Its organizers: Baltic International Academy (BIA), Employers’ Confederation of Latvia (LDDK), Diplomatic Economic Club (DEC) and online magazine baltic-course.com. Media content industries are not only crucial to cultural diversity; they are also of paramount importance for the economy of the European Union. For instance, the audiovisual sector alone directly employs over one million people in the EU. With the internet, media content (made either of images, sound or written words) can be distributed and accessed in a variety of ways and EU policy is evolving to reflect this new situation. The development of on-line/digital publications concerns all sub-sectors of the publishing industry, like books, newspapers, magazines or even databases. For instance, e-books are taking a growing importance even if some factors such as interoperability, portability and cross-border availability still limit their consumption in Europe. = Content distribution in the digital environment. Audiovisual media and digital single market are, generally, most important parts in Commission efforts to coordinate member states’ activity in a “broad media”. In this landscape, TV remains the foremost source of information and entertainment in the EU where the audiovisual sector directly employs over one million people. To function optimally, a "single European TV market" needs a minimum set of common rules covering aspects like advertising, promotion of European works and protection of minors. To this effect, the EU adopted in 2010 the Audiovisual Media Services Directive (AVMSD). This Directive governs EU-wide coordination of national legislation on all audiovisual media, both traditional TV broadcasts and on-demand services. - guaranteeing the independence of national media regulators. See: Corrigendum to Directive 2010/13/EU (Official Journal, L 95, 15.4.2010). However, the EU policy crosses EU's frontiers and covers broad areas such as the EU Enlargement, its neighbourhood policy, trade relations, the promotion of cultural diversity and the international cooperation in the audiovisual sector. It is equally committed to the promotion of Media freedom and Media pluralism including independent media governance, as key elements for enabling the exercise of freedom of expression. Freedom of expression is one of the essential foundations of the European Union. But freedom of expression can only be exercised in a free and pluralistic media environment, including through independent media governance. The European Union's commitment to respect freedom and pluralism of the media, as well as the right to information and freedom of expression is enshrined in Article 11 of the Charter of Fundamental Rights, similar to the provision of Article 10 of the European Convention for the Protection of Human Rights and Fundamental Freedoms. Media freedom and pluralism addressing violations are included into the Commission’s communication – "European Centre for Press and Media Freedom (ECPMF2013). The Commission selected in early 2014 four projects, run by NGOs and academic institutions, with the object to address violations of media freedom and pluralism in the EU and Candidate Countries. For example, the project on “Independent monitoring of media pluralism: pilot implementation of the Media pluralism Monitor (MPM)”. The European Commission awarded a grant for the Centre for Media Pluralism and Media Freedom (CMPF) to conduct a Pilot implementation of the “Media pluralism Monitor” (MPM). Nine countries have been selected for the pilot test (Belgium, Bulgaria, Denmark, Estonia, France, Greece, Hungary, Italy and the UK). In November 2013, the Council of the European Union and the representatives of the Governments of the member states, meeting within the Council, adopted conclusions on media freedom and pluralism in the digital environment. = assess the effectiveness of these measures in order to consider any further steps. As is seen, most of the EU measures are having a coordinating and supporting character! Two public consultations on the independence of the audiovisual regulatory bodies (report) and on the Independent Report from the High Level Group on Media Freedom and Pluralism (report) were conducted in 2013. An independent study on indicators for media pluralism in the EU Member States was commissioned to define and test concrete and objective indicators for assessing media pluralism in the EU member states. The results, including the Media Pluralism Monitor (MPM), were published in 2009. The Centre for Media Pluralism and Media Freedom, initiated within the European University Institute of Florence, published a policy report on "European Union competencies in respect of media pluralism and media freedom" in February 2013. The European Commission services published a working paper outlining efforts to promote pluralism by third parties and organisations, notably the essential work undertaken by the Council of Europe. This contains a concise first survey of Member States' audiovisual and print media markets – Staff Working Paper on Media Pluralism. See: European Commission Guidelines for EU support to media freedom and media integrity in enlargement countries, 2014-2020. Audiovisual media content has arrived to non-TV screens and internet content is arriving to the traditional TV screen. The proliferation of connected devices and the wide availability of faster broadband connections are affecting existing business models and consumer habits and creating new challenges and opportunities for the creative industries. This phenomenon empowers European citizens to seamless and interactive experiences, letting them access any content while being agnostic as to the device or geographic locations from which they interact. A Digital Single Market for content can therefore become a reality if all the remaining barriers can be lifted. Present “web-time” has changed many traditional mantras, in particular, those concerning business activity, such as advertising and marketing. Although old paradigms die hard, they do anyway under time’s pressure through digital agenda. Global web and internet (all www-sources) is changing some vital sphere of business activity. For example, changes in the most traditional mantra in trade and commerce, so-called “4 Ps” in management: price, product, placement and promotion. As a rule, marketing was always based on the main company’s idea: a producer has to create a certain good’s or services’ picture in the consumer’s mind. Therefore, a good advertising campaign was that which can sell any product – it was a question of time and resources. Exactly this concept was undermined by the digital revolution. However, not all existing companies and entrepreneurs can yet apprehend slowly appeared drastic and dramatic changes. It is clearly seen that the old-fashioned “4 Ps” do not work anymore: “internet-media” has created a new transparency, which demolished at least three Ps. Thus, numerous sales channels on web make physical placement irrelevant, as most goods could be found in the internet. As to price, consumers can find the cheapest goods themselves. And so is for the advertising or promotion: web-communication channels make it easier to get the right information on the good or service with the click of a PC’s button. Hence, the only “P” is left out of four “Ps” mentioned above, i.e. that of “product”. There is the only mantra that a company can differentiate from a competitor, i.e. the product, which can provide a “real value” to the customer. Thus, quite often huge investments into products’ advertising are in vain! But, is it really what liberal economists usually said: complete information and perfect market! Some suggest that branding is going to replace the old-fashioned “4Ps”. The idea is borrowed from the new book written by Danish marketing gurus (R.B. Hansen and J.M. Skibsted), which will reach readers this fall. For example, Danish experts argue that there is a new paradigm to substitute marketing: thus, there is no need for a separate marketing division in a company. Instead, there should be a team of “creative thinkers”, who are able to “cross-sector” the complete productivity chain. There is little doubt of the traditional marketing’s death; the question is what could be a replacement? Who can dear to suggest…? Internet has entered media sector and almost all other spheres of people’s private, corporate and public life. However, media industry –through printed or web-sources – is still the largest sector where people can acquire the required information. In the pre-internet history, there was a certain distinction between the public and private spheres of presenting and assessing information. Thus, the “attention agenda” for the general public was carefully “weighted” and selected. Internet has truly revolutionized and democratisized the news- and event-making, as well as providing the assessment scale for the “public consumption”. At the same time, internet raises the issue of information exchange security, making people less aware (and vulnerable) in the process of freedom of communication. All these –and some other- factors of present media-internet connections require more deliberate, active and socially desirable Commission’s approach to media industry. Such approach should be definitely more than the present Commission’s “additional and supporting activity” for the member states. While these issues are too complicated to make an immediate resolution they are not less important for presenting socially desirable images.